Member of the Milwaukee Exposure and Explorer Project (MEEP) held their Sixth Annual Luncheon on Sunday, September 13, 2015 at the Four Points Sheraton, 8900 N. Kildeer Court in Brown Deer, WI. The luncheon theme was: Preparing Future Leaders for Tomorrow’s Careers. 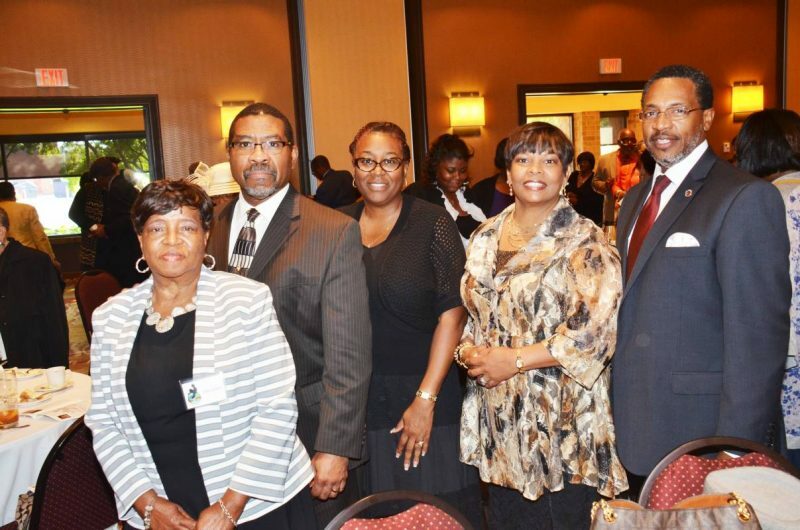 Pictured (from left) are MEEP founder, Ms. Lilly Simmons; Rev. and Mrs. Martin Childs of Pilgrim Rest Missionary Baptist Church; luncheon speaker and MATC School of Health Science Dean Dr. Dessie Levy and Pastor Garry Levy of True Love Missionary Baptist Church. More than 150 people attended the luncheon. To see additional photos from this event, please visit the Milwaukee Times website at: milwaukeetimesnews.com; select videos, scroll down to MEEP 6th Annual Luncheon, view a slide show and hear the audio like you were there.